A subsidiary of Chorus Aviation has finalized a firm purchase agreement with Bombardier for nine CRJ900 aircraft. The aircraft will be operated by Jazz Aviation LP, a subsidiary of Chorus Aviation, under the Air Canada Express banner, making them the first Canadian operator of the new Atmosphere cabin for CRJ Series regional jets. Based on the CRJ900's list price, the order is valued at approximately US$437 million. 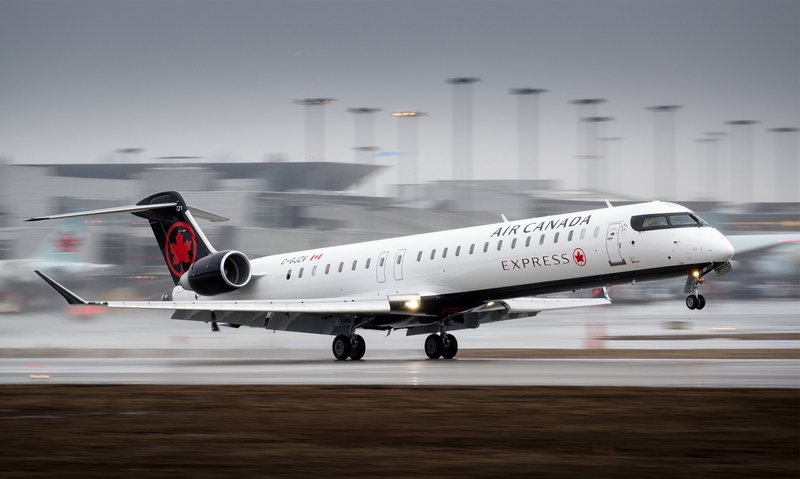 Jazz, under the Air Canada Express brand, will operate the CRJ900 in a dual-class cabin configuration with 76 seats. The airline intends to take delivery of their first aircraft in the first half of 2020. See latest HD Video Interviews, Podcasts and other news regarding: Chorus, Jazz, Bombardier, CRJ900, Canada.